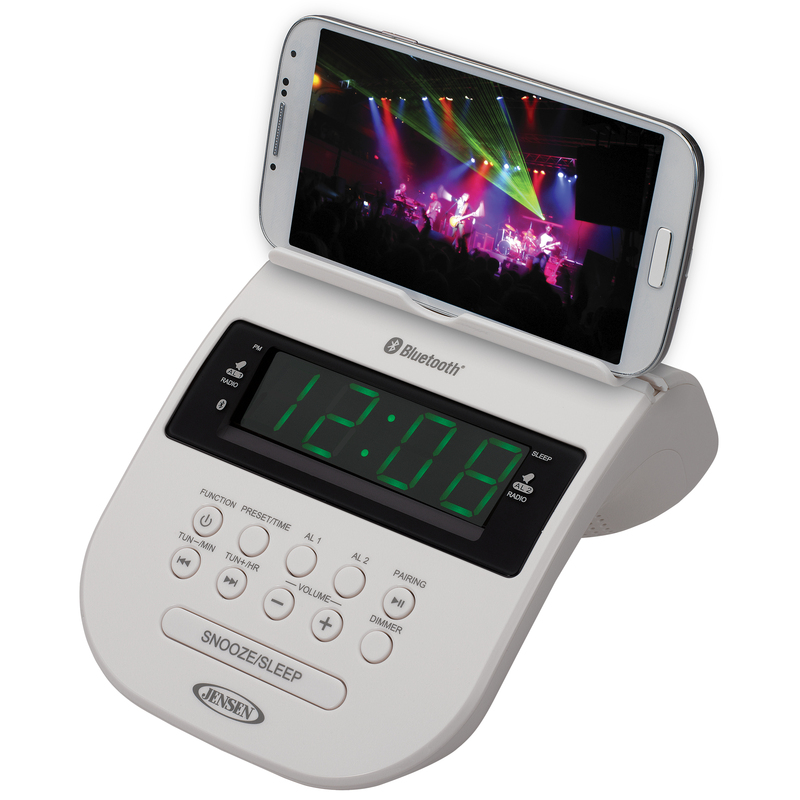 Designed to be sleek, compact, and multifunctional on your nightstand the JENSEN® JCR-295 clock radio features universal Bluetooth® connectivity and a rear mounted 1 Amp USB charging port to charge your smartphone while you sleep. 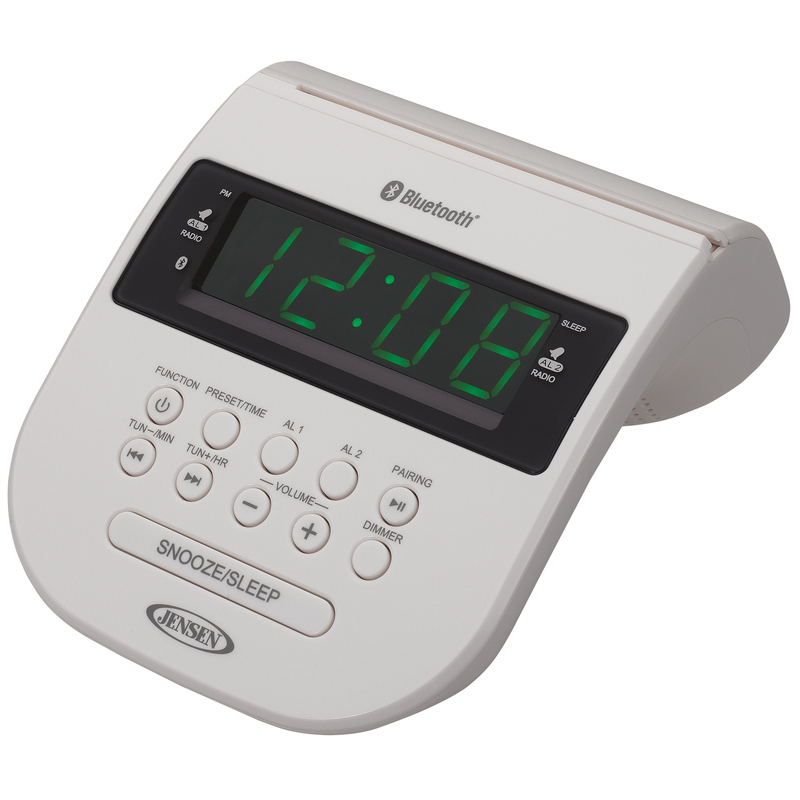 This advanced technology clock radio allows your Bluetooth-equipped Apple®, Android™, or other digital media player to be wirelessly connected and stream music from up to 33 feet away. 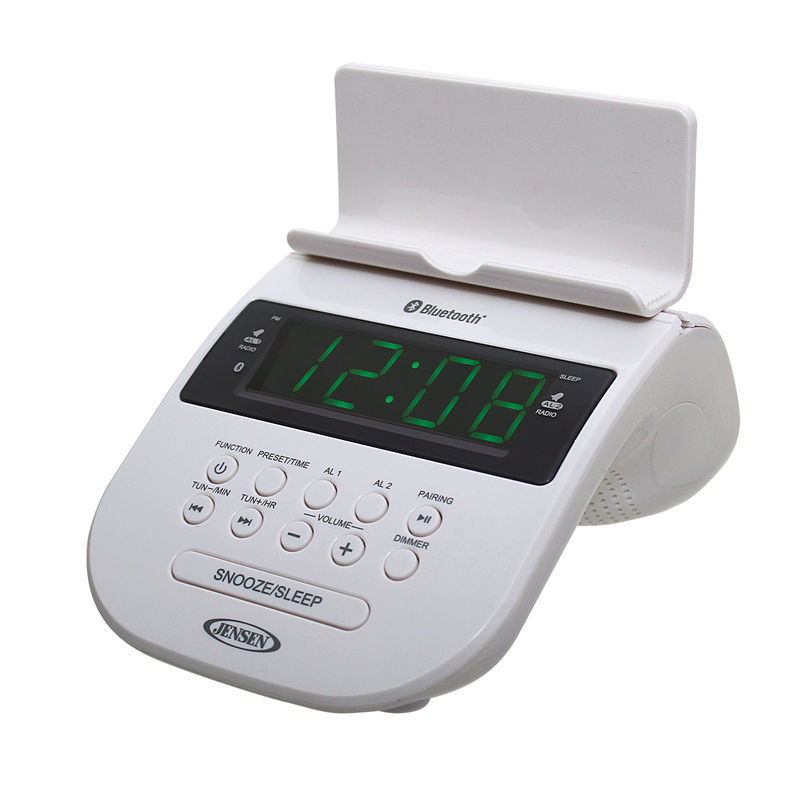 Additional features include a bright and easy-to-read 0.9” green LED display, FM digital receiver with 20 presets, and dual alarms with snooze and sleep function. The top of the unit also provides a detachable holder for keeping your cell phone in place while it’s charging or playing. 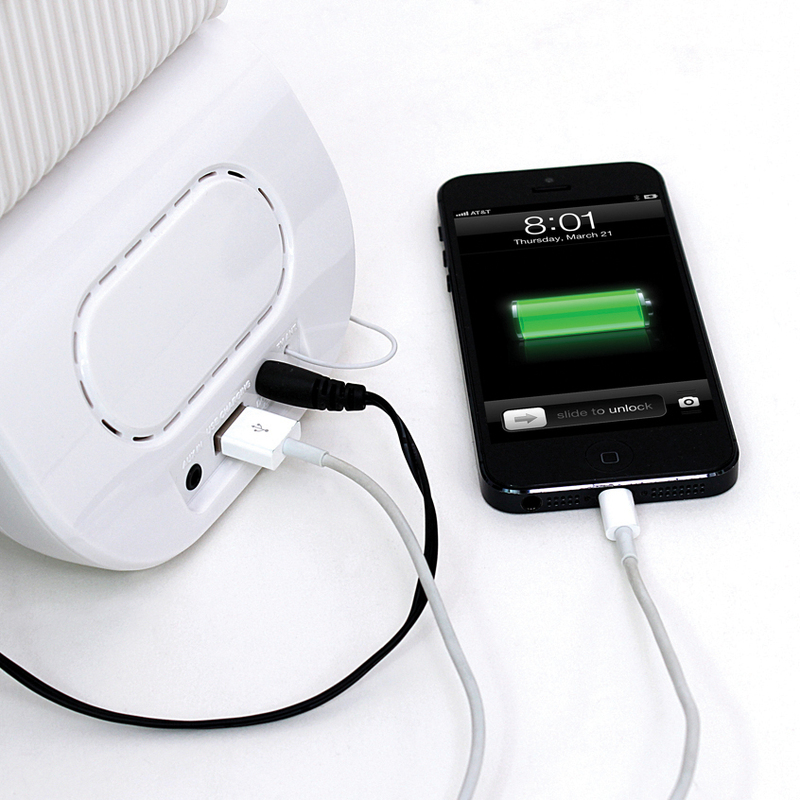 Includes battery backup for clock (2 x “AAA” not included) and operates on 120V AC power (adaptor included).